Owl Always Be Reading: Trouble Tuesday + Win A Signed ARC of All Broke Down by Cora Carmack! 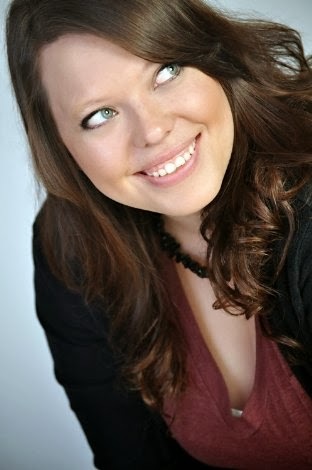 Trouble Tuesday + Win A Signed ARC of All Broke Down by Cora Carmack! Hey Owls, I am honored to welcome you guys to what is known as Trouble Tuesday! 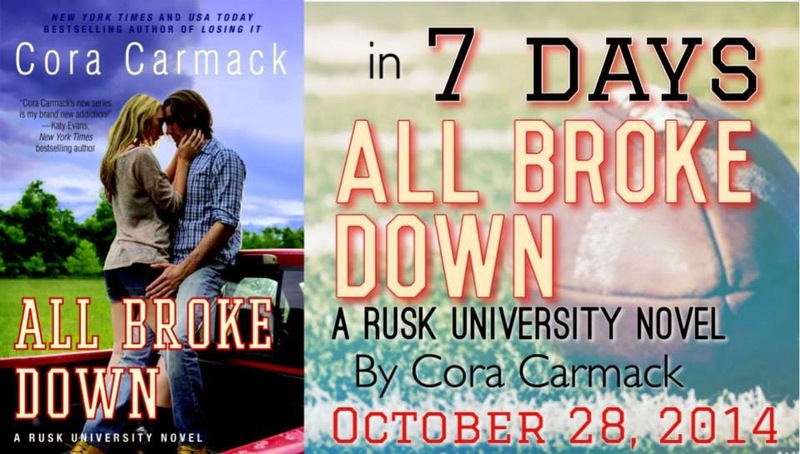 We are less than a week away until All Broke Down by Cora Carmack comes out and I am beyond excited to start seeing you all gush over this book! Silas Moore *le swoon* I can't wait for you guys to see the other side of Silas. Let's just say he might be in the running for my favorite Cora book boyfriend. In the upcoming weeks you will be noticing a lot more activate coming your way one of which is Goodreads. Every milestone we hit on Goodreads means you guys get to read a new chapter! 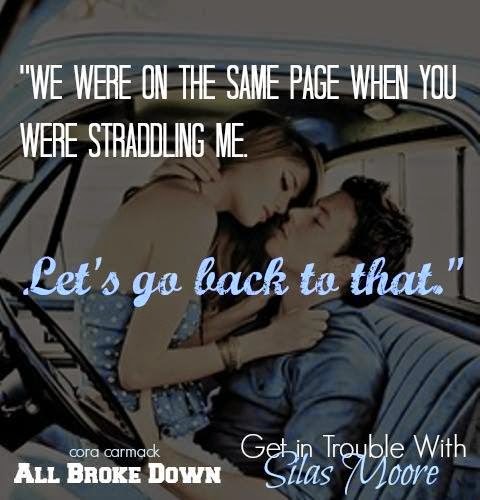 So make sure to head over to Goodreads and add All Broke Down!!! You can already read chapters one and two HERE! Also make sure to check out my review of All Broke Down HERE. If you haven't had the chance to read All Lined Up (Why haven't you?! ), you are in luck! It is on sale for $0.99, so make sure to grab it at this amazing price! 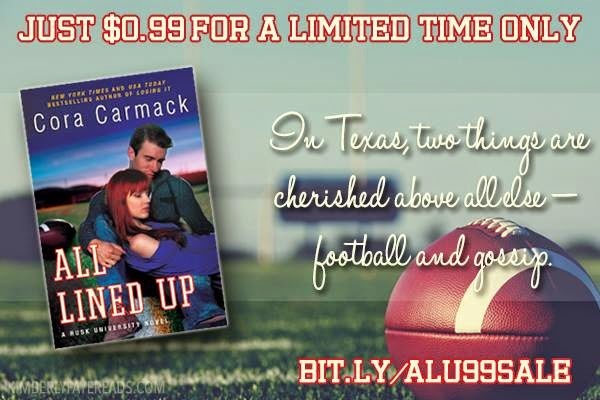 In this second book in New York Times and USA Today bestselling author Cora Carmack’s New Adult, Texas-set Rusk University series, which began with All Lined Up, a young woman discovers that you can’t only fight for what you believe in . . . sometimes you have to fight for what you love Dylan fights for lost causes. Probably because she used to be one. Environmental issues, civil rights, education—you name it, she’s probably been involved in a protest. When her latest cause lands her in jail for a few hours, she meets Silas Moore. He’s in for a different kind of fighting. And though he’s arrogant and not at all her type, she can’t help being fascinated with him. Yet another lost cause. Football and trouble are the only things that have ever come naturally to Silas. And it’s trouble that lands him in a cell next to do-gooder Dylan. He’s met girls like her before—fixers, he calls them, desperate to heal the damage and make him into their ideal boyfriend. 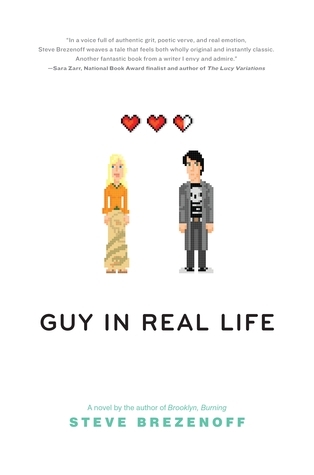 But he doesn’t think he’s broken, and he definitely doesn’t need a girlfriend trying to change him. Until, that is, his anger issues and rash decisions threaten the only thing he really cares about, his spot on the Rusk University football team. Dylan might just be the perfect girl to help. Because Silas Moore needs some fixing after all.